The condo is wonderful. Peggy was wonderful to work with. Thanks. Fantastic condo, great location, would stay again! The condo has all the amenities you need...even though we ate most of our meals out. We did have tons of leftovers and stayed in one night. We had dinner outside and it was lovely. The 3rd floor balcony porch is awesome for lounging, reading or having morning coffee. We didn’t use the pool because we are more of beach folk, but maybe next time! They provide all sorts of beach/pool amenities- chairs, towels, tubes. Getting in and out of the gated community was easy! We enjoyed our stay in this condo. 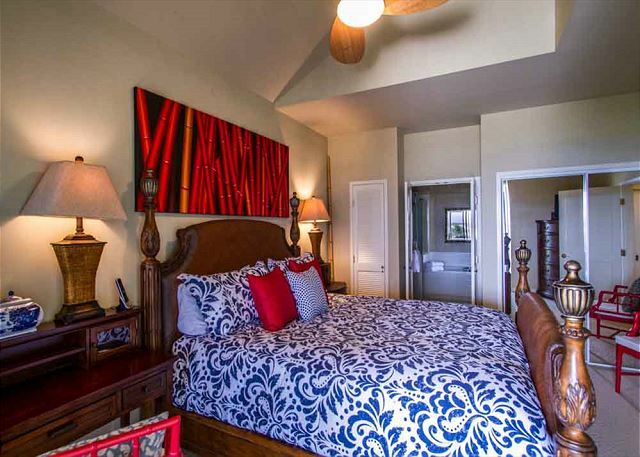 It was very nicely furnished and close to great beaches and shops. The view was nice, although the "ocean view" is limited. However it also has a beautiful mountain view. We appreciated having beach chairs and boogie boards to use. The only drawback was the furniture was so nice I worried about getting sunblock on it. Peggy was very helpful and was quickly reachable. This was our second stay in Vista E303. 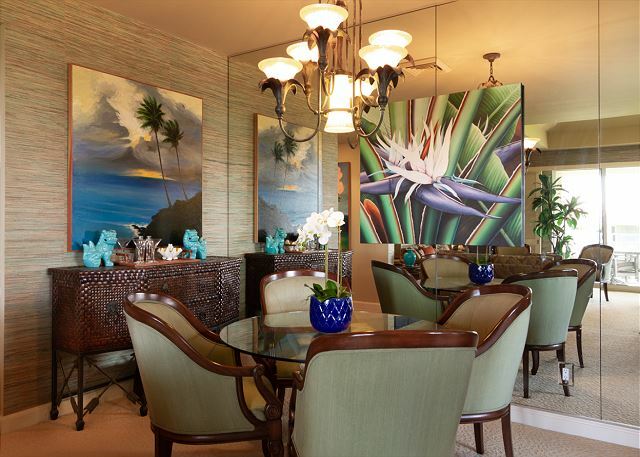 The condo is beautifully decorated with very comfortable furnishings including on the lanai. The kitchen has all the cooking utensils you might need. 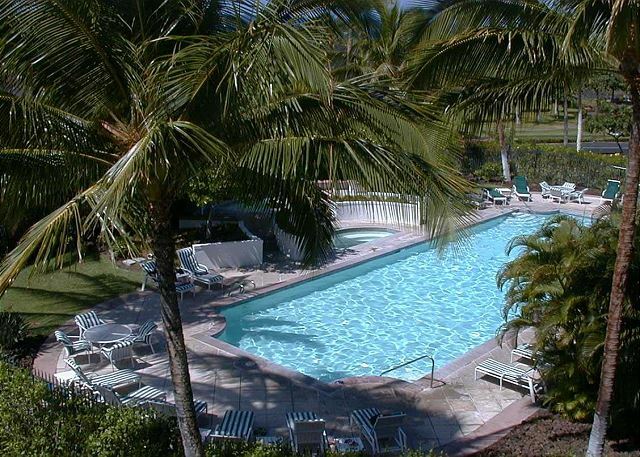 We especially like the location of the condo since it is in walking distance of shopping as well as the beach. It is a very convenient place to stay if you are attending a meeting at the Hilton. 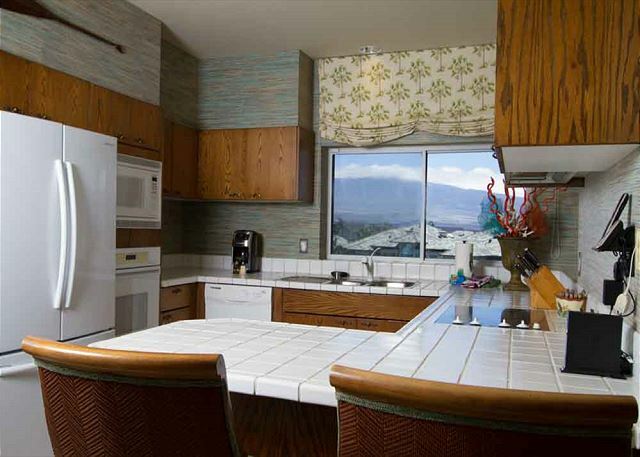 We have rented with Waikoloa Realty for the past several years. We always get a place to fit our needs...Vista E303 was perfect. The unit has everything...the beds are very comfortable. Good knives in the kitchen for those who like to cook. Primo air conditioning. Excellent location! Quiet. Will come back next year for sure. Peggy is the BEST! Thank you so much for your feedback and we are glad to hear that this unit worked out for you. You will always have a home here! High class 2 Bedroom condo with excelent furniture. Silent area and nice balconys. Everything was wonderful. The setting was quiet and peaceful, and the location was close to the shops and the beach. 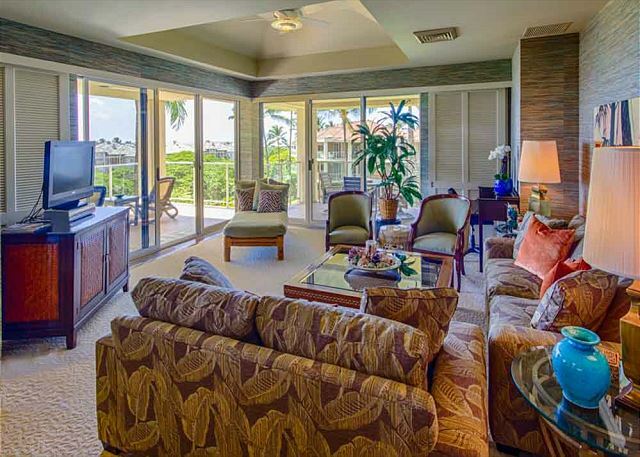 The condo itself was great--worked really well for 4 of us, and the lanai was fantastic! Peggy was super responsive and helpful as well. We would definitely stay here again! We really enjoyed the place. It exceeded our expectations. Having multiple bathrooms was nice. The lanai was awesome. The unit was very spacious. Peggy reached out to us a couple of times to see if we needed anything. We did run low on dishwasher detergent, and it was provided within a couple hours. The location worked out really well for us. Thanks. What a beautiful condo in a perfect location. This is probably the nicest condo we have ever stayed in. Would love to stay here again! Pool is very nice and was never crowded. Every night we would take the short walk to watch the sun set at "A" Bay. Just magical! Thank you so much for your nice comments! 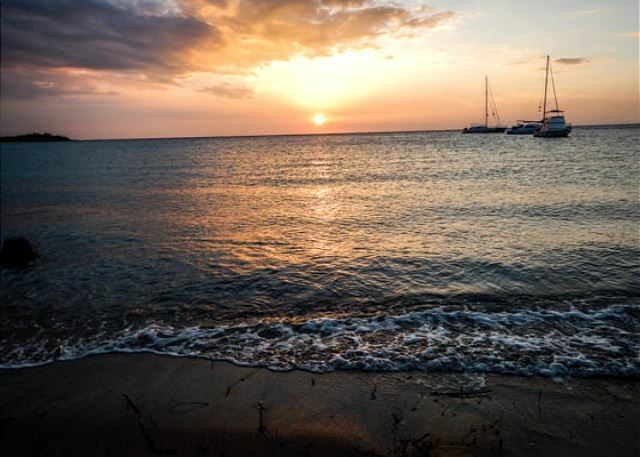 Sunsets at A-Bay are indeed magical. We hope you will return. We've stayed in Maui, Kauai, and several locations on the Big Island, and this property was by far the best one that we've stayed at in Hawaii. The condo was clean, quiet, and well situated for our various trips and visits to nearby beaches. We also enjoyed sitting on the lanai in the mornings while we had breakfast, taking in the amazing view. A-Bay with its amazing sunsets and the Lava Lava Beach Club with its amazing cocktails are nearby. We will definitely stay at this property again the next time we are on the Big Island! It was very nice working with you and we hope to have you back soon. This home away from home offered everything you could ask for; lovely decor, very clean, well stocked, partial ocean view and a great location to walk to everything! You couldn’t ask for better golfing so conveniently close by, either. It was a pleasure to work with Peggy on our reservation and throughout our stay. We will definitely book E303 again! Great rental property. 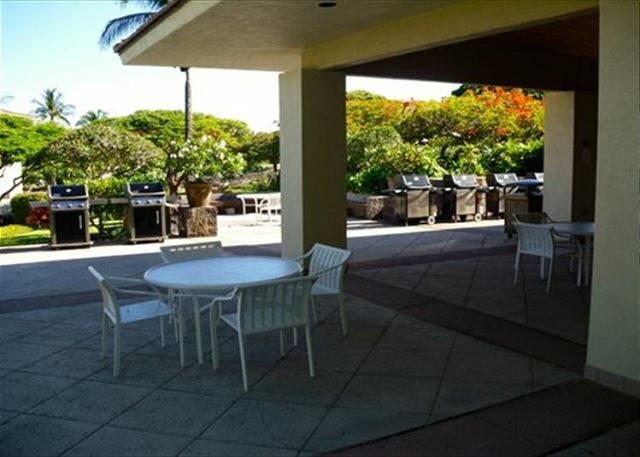 The patio is enormous with an amazing view of A-bay and Hualalai. Condo was very spacious and comfortable, nicely decorated. Patio does overlook Waikoloa drive, which creates some vehicle noise in the evening, but in the morning it was quiet, great place to enjoy breakfast. We appreciate your feedback and hope that your family had a fun time on the island. We loved this unit. Lovely view, comfortable furniture, fun decor. There was plenty of space for the three of us and we really enjoyed our entire stay. It was safe, quiet and well-maintained. We'd definitely book it again. If they decided to put a shiny brand new kitchen we might want to buy the place off of them! ;) There's lots to do in this area. 10 nights was great - but even more would have been better. Thanks for sharing this lovely home with me and my girls! This condo was much better than the pictures show, was the perfect setting for a family vacation. We enjoyed the pool and hot tubs which were kept very clean. Peggy was extremely helpful with the few requests we had. 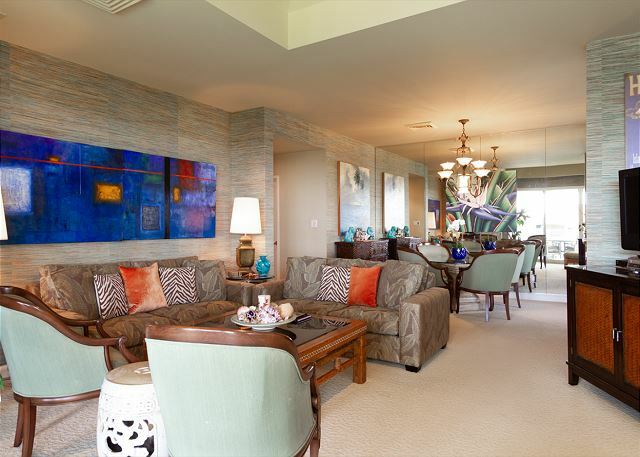 We loved the lanai & spectacular sunsets from this unit. Hapuna Beach is close by & is an absolute must, everyone enjoyed it there. 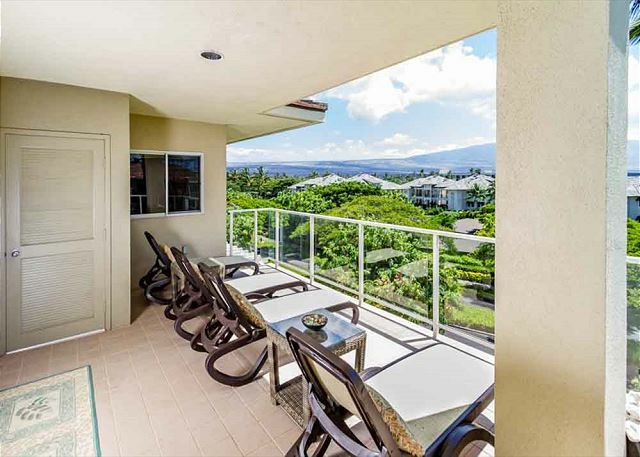 We would highly recommend this unit in Waikoloa. 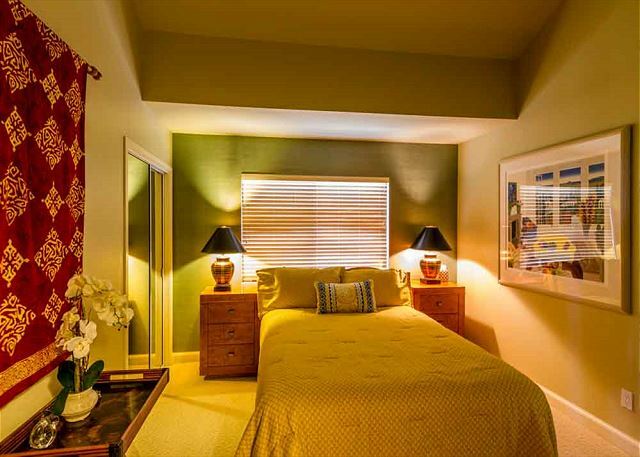 The condo was very clean and was located in a great location. The lanai was very nice with a great view of the bay. The agent was very quick to respond to any questions and the included beach chairs, beach umbrella, cooler, and snorkel gear was a wonderful addition. The only feedback I would offer is that the washer is very small and the dryer often took two cycles to dry towels. That being said, it was nice to have a washer and dryer in the unit. Thank you for your time in reviewing this condo. We appreciate your letting us know about the sluggish dryer situation so that we could get it repaired for the next arrival. Condo was clean,spacious and nicely furnished. The location was perfect. Only a short drive to the some of the most beautiful beaches. Excellent restaurants near by. We dealt with Peggy for all our needs and she was awesome. We asked for 3 beach chairs, 3 beach chairs were in the condo when we arrived. Asked for snorkel equipment, next day at our door step. I only have positive things to say and cant wait to go back. 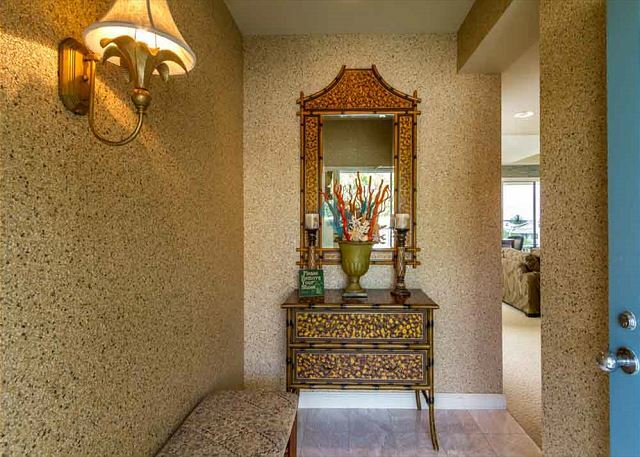 The condo was decorated very well and had all the amenities that one would need. The view from the lanai was great. The place was just as described/ the photos show no surprises which make for awesome satisfaction. If your lucky enough to find this place available TAKE IT! 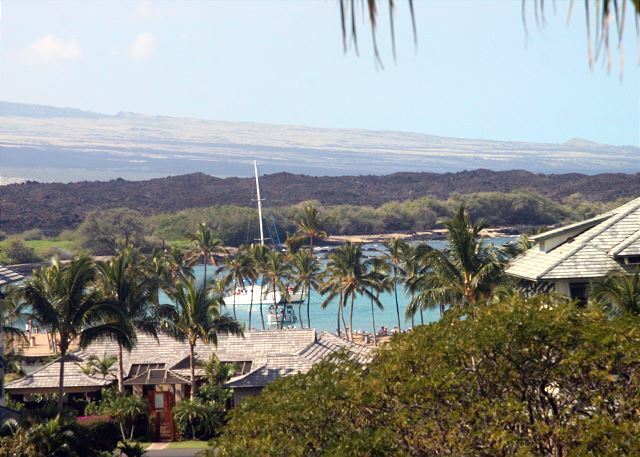 The location within Waikoloa is easily accessible to everything. Peggy, the manager, was very easy to deal with and access was perfect. The condo is stocked with everything for a comfortable vacation. I'd recommend this place. It was a pleasure to accommodate your family, and we are happy to hear that you had everything you needed and that the condo worked out well. Thank you for your review! 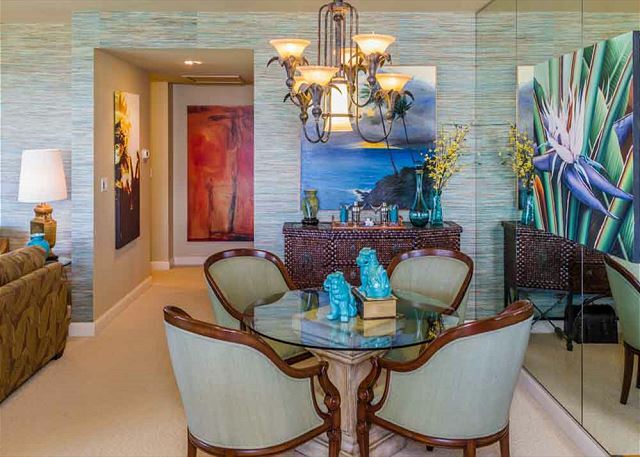 We were so fortunate to find this condo. It was absolutely beautiful and very quiet and comfortable. We especially enjoyed sitting out on the balcony for breakfast and watching the sunset. Peggy was particularly helpful. She supplied us with boogie boards and folding chairs. I recommend driving to Hapuna Beach for boogie boarding. We also went on a lava tour that was amazing. We will definitely return to this spot. 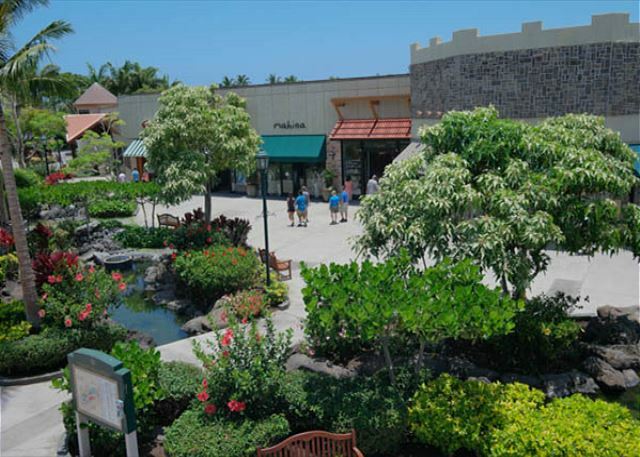 Waikoloa is a quaint, nice area with plenty of great places to eat and the beach nearby is fun for walking. Peggy always returned my phone calls promptly and she gave good advice. I highly recommend this vacation rental company,especially Peggy. 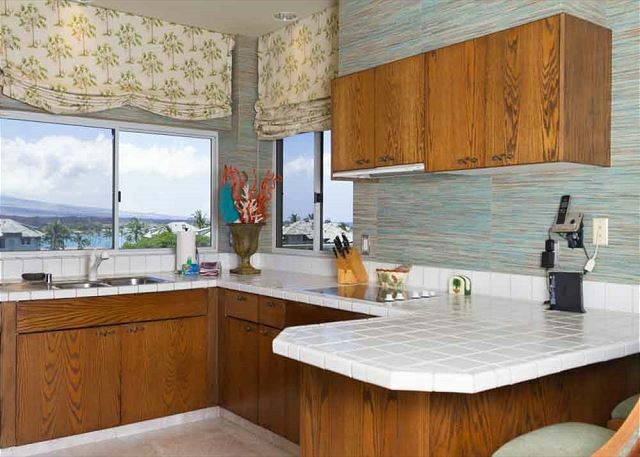 One of the guidebooks in the condo described the Vista Waikoloa as a Bargain & we would agree. It has a great location though not directly oceanfront. We stayed in E-303 for 2 weeks & loved it. From the lanai, we had a great view of the gorgeous sunrises looking left in the morning & of the glorious sunsets in the evening looking right. Straight ahead we could see A-Bay as well as a "far away" peek at the ocean itself. 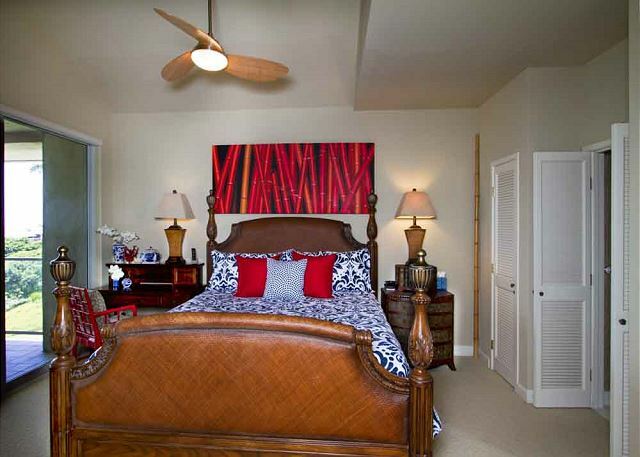 The condo was large & we really appreciated the half bath as well as the 2 full baths with the 2 bedrooms. Very comfortable place to stay. Some units have wet bars on the lanai; this unit does not. I would have liked having our own bbq but I don't think any of the units here at their own. While there is a common area with bbq's we didn't feel like making use of those. All in all, a great stay & a wonderful place.